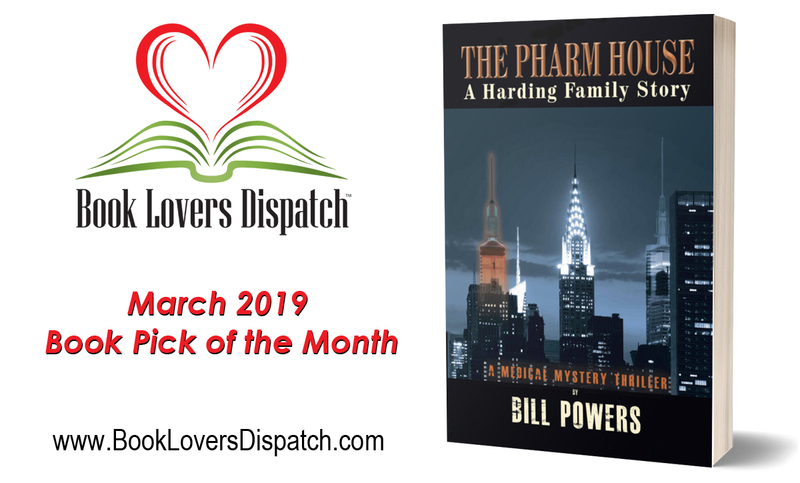 Book Lovers Dispatch‘s March Book Pick is The Pharm House, a foreboding and darkly suspenseful debut medical thriller by Bill Powers set in the hidden underworld of the global pharmaceutical business. Even though The Pharm House is set in a pharmaceutical company, it is really a story about family. It’s about Nicholas Harding, a young scientist/executive at Marshall Pharmaceutical. Nicholas is a regular guy – a single Dad trying to raise a precocious 11-year-old daughter while clawing his way up that ever so slippery middle management ladder. But unknown to Nicholas, there are dark forces inside Marshall Pharmaceutical and he is about to be drawn into their plans and finds himself fighting for his career, his family and perhaps even his life. The Pharm House is available on Amazon at amazon.com/dp/B014I833S0. 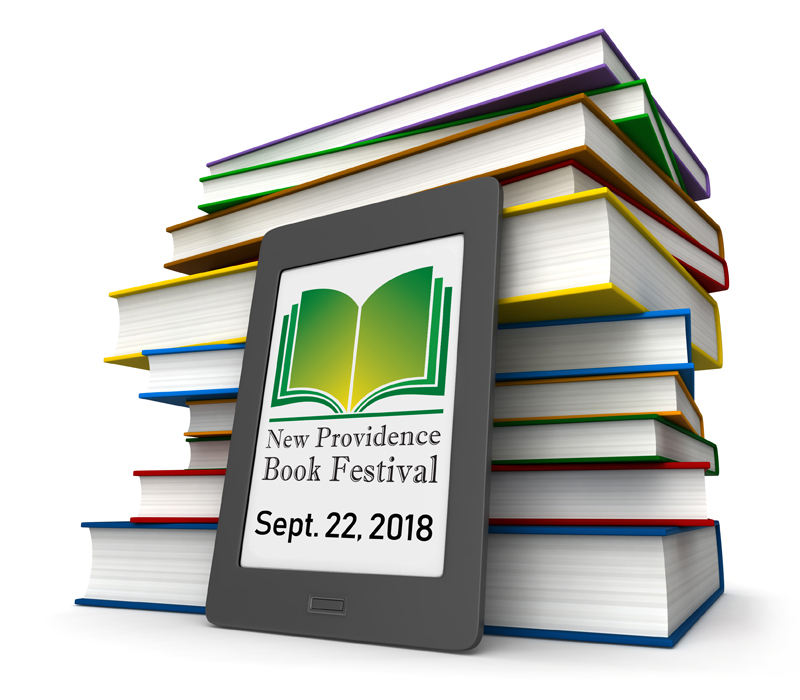 9/22/2018: New Providence Book Festival! New Jersey authors will sign books and talk to visitors at the New Providence Book Festival on Saturday, September 22, 2018, from 9am to 3pm. The festival, located on the grounds of the historic Salt Box Museum, (1350 Springfield Avenue, New Providence, NJ 07974) will include a series of author talks and readings. The rain date is 9/29/2018. 10:00 – Ginger Pate, reading from her book, Would You Invite a Skunk to Your Wedding? Participating authors should promote the book festival online and through their networks. Authors will be allowed one half of a six-foot table to display their books, sharing the table with another author. Please be respectful of your fellow authors. Positions will be assigned ahead of time. 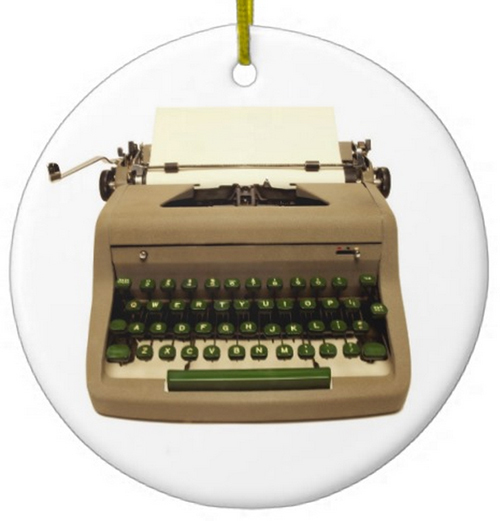 Authors keep 100% of their sales. Authors will give a (festival-provided) raffle ticket to each person who purchases one of their books. Please see that the buyer has filled out the ticket legibly. Authors must sign the raffle ticket to be valid. This is meant as an incentive for people to buy more books. The prizes include a $50 gift certificate to Moe’s Bistro and a voucher for an overnight stay at Murray Hill Hotel. Do not park on the street in front of the museum. (These spaces are to be kept open for impulse visitors.) There is a parking lot diagonally across the street. Another one is down the street at the community pool. A volunteer will be available to help with drop off, carrying or other assistance. Please keep an eye on one another’s books and supplies while they are away from their table. The event will be photographed for publicity purposes for this and future book events. Participation as an author constitutes permission to use these images. If there are any questions, you can contact me through the form on this website. Page Bound Authors Continue to be Prolific! And we expect another four new books before the year is out! Page Bound Success members J.R. Bale, Michael Stephen Daigle, Reyna Favis, Kerry Gans, Kristina Garlick, Bob Mayers, Bill Powers and other authors will be signing their books at the New Providence Book Festival on the grounds of the Salt Box Museum, 1350 Springfield Avenue, New Providence, NJ 07974. Free and open to the public. 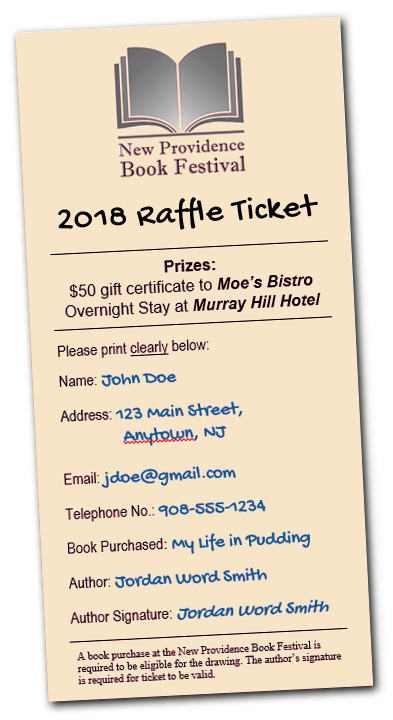 Any visitors who purchase a book will receive a free raffle ticket for an overnight stay at the Murray Hill Hotel and a $50 gift certificate for Moe’s Bistro. Page Bound Success is a sponsor of this event. The Festival is currently trying to raise money via GoFundMe. Any donations are appreciated. J.R. Bale will be speaking to the New Providence Book Club on the writing of an Amazon bestselling political epic. Thursday, August 3rd, 2017 at 7:30 PM. Michael Daigle to Speak at Mountainside Library. 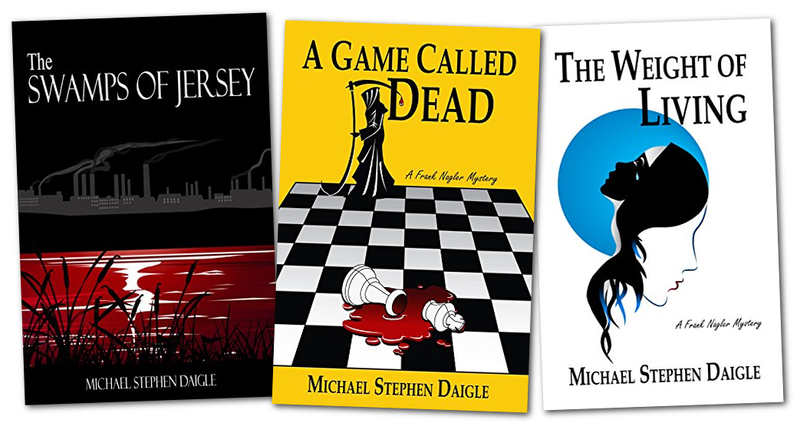 Michael Stephen Daigle will be discussing his Frank Nagler mystery series at the Mountainside Public Library in Mountainside, N.J. at 1 p.m.